Eric S. Rosen is a Kansas Supreme Court Justice appointed by Governor Kathleen Sebelius in 2005. Eric S. Rosen was born May 25, 1953 in Topeka, Kansas. He earned his Bachelors and a Masters Degree with honors at the University of Kansas and his J.D. at Washburn University School of Law in 1984. He is married to Elizabeth A. (Libby) Rosen and has four children and three grandchildren. He's an active member in the Topeka High School Booster Club, Indian Woods Neighborhood Association, Temple Beth Shalom, and YMCA. Before attending law school Rosen worked as a social worker for Topeka Public Schools for 3 years and chaired the social work department for 2 years. After graduating from Washburn he became an assistant public defender. Rosen later served as an assistant district attorney in Shawnee County, Kansas and eventually took the office of associate general counsel to the Kansas Securities Commission before entering the private practice of law in 1990. In 1993 Rosen took his first judgeship serving as a State District Court Judge for Shawnee County. He was appointed Chief Justice to the Kansas Sentencing Commission in July of 2002. 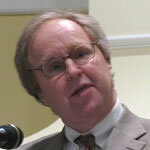 During this time Rosen was a member of Koch Crime Commission, lectured at the Menninger School of Law and Psychiatry, 2004-2005 President of the Sam A. Crow Inns of Court and was appointed Presidential commission charged with commemorating the 50th Anniversary of the Brown v. The Board of Education decision. In 2005 Governor Kathleen Sebelius appointed Rosen to the Kansas Supreme Court, to replace Justice Robert Gernon who died from cancer, beating out 12 other candidates. He will face his first retention vote in the 2008 election.